A few days ago, we have been some photos of Sony Xperia Z3 smartphone and now we are witnessing the true image of the original Sony Xperia Z3. Reportedly, the Xperia Blog has posted images of the Sony Xperia Z3 gold version smartphone with pictures, which is a smart device. The new smart device also has SmartBand called Talk, but there is no further information about Sony Xperia Z 3 Release Date. 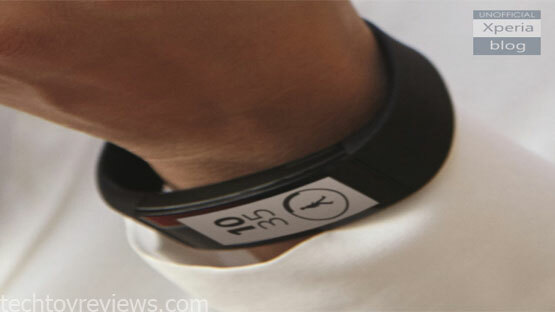 This smartphone equipped SmartBand Talk also has curved E-Ink display. 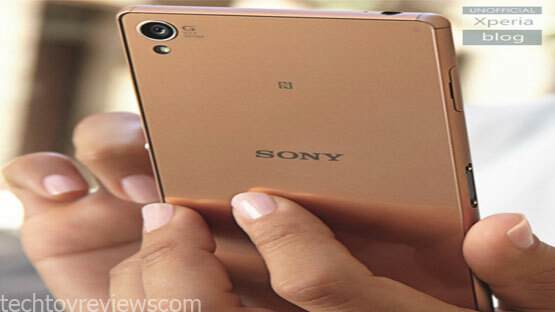 However, the leaked images this time clearly shows the front of the high-end smartphone Sony Xperia Z3. If the information previously disclosed is accurate, the part we see the front design of Xperia devices Z3. As expected, the new product line of high-end Sony will not have many changes from the earlier version of Sony Xperia Z2. New version Xperia Z3 will have reached 146.8×73.3x 8.2 mm larger than the 146.5×72.4×7.5 mm on the Z2. Along with champagne gold color version, the new Z3 device is expected sold with the white black and mint green. 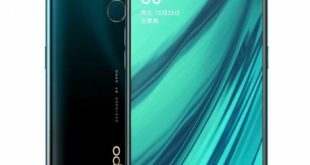 Through these new leaked pictures show the Z3 ​​is designed very similar to previous versions Z2, the back of the phone also comes with camera and flash. On top of the camera is where Z3 will allocate 3.5 mm headphone jack, lowers the tripod perfectly smooth. The left side of the layout also remains the microSD memory card slot, power button, a volume up button and camera capture button. The power button is still rounded design and made of shiny metal. Meanwhile, the sides must be allocated sim card slot and charging dock. Z3 will also be a waterproof and dustproof technology. 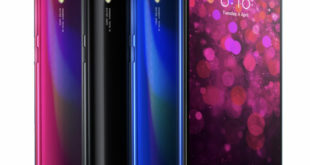 It has ultra-thin screen edges and multimedia connectivity technologies. Apart from information on design, sony also revealed some information about the Sony Xperia Z3 Specification, high-end phones will be equipped with the 5.2-inch display uses Triluminos technology with a resolution of 1080×1920 pixels, brightness up to 600 nits. Z3 promise for better display quality on par with the leading super LG G3 today. Besides, the Z3 is expected to run Snapdragon processor (MSM8974-AC), 2.5 GHz quad-core combined with 3GB of RAM to help the device run smoother with every action, even with tasks requiring higher graphics capabilities, the Z3 is sure to satisfy. 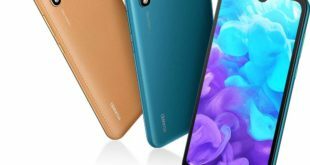 The phone will be integrated 16 GB of internal memory, support extend memory storage via microSD card slot. 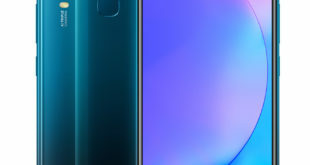 Z3 will also be equipped with two cameras, the rear camera will have a resolution up to 20.7MP combined with flash for photo quality will be pretty subtle. According to sources, Sony will introduce the Sony Xperia Z3 and smart Talk SmartBand at the 2014 IFA technology exhibition. Besides all 2 devices, the Japanese electronics also is expected to launch another new product named Sony Xperia Z3 Compact and a new version of the tablet. Currently, information on the price of high-end Xperia Z3 has yet to be revealed, however, but what Sony has equipped the new Z3, make sure the product will be sold at a price not cheap, at least the product will be priced higher than the current product Xperia Z 2.